Indian Weddings are filled to the brim with vibrant, cultural events lasting over the course of a few days. The Haldi, Mehndi, and Sangeet all play a very important role in the celebration of the union of two people. The culmination of all these events, however, is the wedding day which in and of itself consists of significant moments of religion and culture that pull together to create a beautiful celebration of marriage and Indian culture. It is important to have a set wedding timeline so that all of these major events can all run smoothly and according to how you want your wedding to be. Below is an example Indian Wedding Timeline which allows for the key moments of the day while incorporating the time needed to capture all your beautiful memories. Hair & Makeup is frequently the most underestimated part of the day when it comes to carving out the right amount of time. This process can take anywhere from 1.5 to 3 hours depending on the style, so be sure to allow enough time after you have had your consultation with your hair stylist and makeup artist. Photographers usually aren’t present for this entire process and should be scheduled to arrive when the process is close to its completion. You should have all of your details ready for the photographers, all in one place. For the bride, this would be things like her Sari or Lengha, all wedding rings, shoes, jewelry, etc. For the groom, details would include his shoes, outfit, watch, and any other accessories. This is when your photographer will take photos of the finishing touches of hair and makeup, candids of bridesmaids, groomsmen and relatives as the Bride and Groom prepare for their big day. This is the perfect time to exchange gifts, if applicable to your timeline because everyone is fully dressed and dolled up for the day. We like to snag some portraits of both the Bride & Groom just before they head out to their first look location spot. This small window of time is the perfect moment in a hectic day to grab portraits like these before the hubbub of the wedding begins. This is when you have the opportunity to experience a special moment with your soon-to-be-spouse. The first look is a sweet and intimate time that your photographer will capture for you to remember the moment forever. After the first look, you will go into your daytime session where your photographer will take your wedding portraits together. It’s important to leave ample time for this session because this is where the majority of your portraits of just the two of you in your ceremony wear will be taken. This time allotment is for 6 bridesmaids and 6 groomsmen. For larger bridal parties, more time should be allotted for this photo session as rounding up more people takes more time. For suggestions on how to calculate this, check out our Wedding Photography Timeline. Your photographer will take photos of you and your bridesmaids together, portraits with each of your bridesmaids, photos of the groom and groomsmen, individual portraits with each of his groomsmen, and finally group portraits of the entire wedding party. During the time that your bridal party portraits are being taken and after the ceremony is completely set up, the 2nd photographer will take photos of the ceremony site and the details of the ceremony. At this time the bride will return to her room, or will hide away while the groom has his Baraat. More individual portraits of the bride may be taken at this time. This is a celebratory time in the Indian Wedding Timeline for the groom’s guests as they dance their way along the processional to the ceremony site. Photographers will follow along to capture the vibrant celebration as the groom rides in on his decorated white horse. 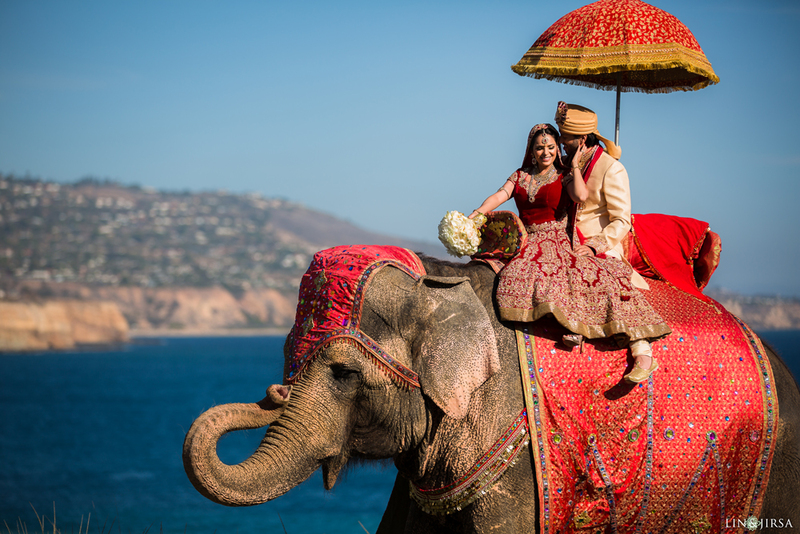 Read more about the Indian tradition of the Baraat here. At the end of the Baraat, the groom greets the bride’s family for the milni ceremony. Read more about the ritual and its significance in the Indian Wedding Timeline in this Milni Ceremony article. Before the groom can make his way to the Mandap he must remove his shoes. Joota Chupai commences and the bride’s family begin to try to steal and hide the groom’s shoes in a mischievous and jovial act of Indian tradition. At this point in the timeline the priest prays to Lord Ganesh to bless the occasion and make the ceremony free of obstacles. You can read more about the tradition of Ganesha Puja here. Read more here about the Mandap and its symbolic significance. The Indian Wedding Ceremony consists of many different rituals below is a list of many of them. Click the links to read more about each part of the ceremony. This is when the bride’s family bids her farewell as she rides away with her new husband. This can also be known as the Bidaai. To read more about the Vidaai’s significance in the Indian Wedding Timeline visit this page. At this point in the Indian Wedding Timeline, your guests are eating lunch and it is time to take Formal Family photos with all of your extended family. Be sure to have a list for your photographer of exactly who you want to include in these portraits and look at the Ideal Wedding Photography Timeline for suggestions on how much time to leave depending on the size of your family. This is another opportunity for your photographer to get some more shots as a couple, except now you are a married couple! 45 minutes is the suggested time for this, but more time can always be allocated to allow for more time and more extravagant photos, or different locations. During this time your photographer will take detail and prep shots of your reception outfit changes, so again it is important to have all these details in one place. This is another opportunity to get photos with your family in their formal wear for the reception. It’s important to allow enough time for all the portraits you would like so that it does not cut into your nighttime couple’s session. During this time, your guests arrive at the reception and begin mingling with each other and your families. Typically the bride and groom do not attend this cocktail hour because they are away taking more photos in their reception attire. This is when we get some of the sunset/nighttime shots that are Lin and Jirsa’s signature look. Be sure to allow enough time for this photo session to travel around your reception site’s premises. We also like to get photos of just the bride and groom in the reception hall before guests enter. Be sure to let your photographer know if you want to attend part of your cocktail hour to mingle with guests so that your Indian Wedding Timeline can accommodate this. Guests begin to fill the reception hall and take their seats to prepare for the entrances of the family, bridal party and finally the Grand Entrance of the newlyweds. For more information on planning a good Wedding Reception Timeline check out this link. This time in the reception is allotted for whatever programming you have planned. Often times in Indian Wedding Timelines there are multiple dancing performances by professional dancers, performers, and family. This is a good time for speeches from family and the Maid of Honor and Best Man. Usually, the first dance and family dances occur during this time as well, before the dance floor is opened to all the guests. It’s time for everyone to party! This is a good time for the first power dance set. At this point, your guests are ready to stretch their legs and get their blood pumping. Check out some of our favorite Indian Wedding Reception DJs who know how to get the party started and going all night long! This is the last couples session to photograph. It will have been completely dark now and it is time for us to capture the closing moments of your wedding day. It’s good to find locations with interesting light and landscapes. Things like mirrored rooms, city scapes, fountains and bodies of water reflect light well and can cause some really incredible nighttime shots before you and your new spouse go on to your happily ever after. This signifies to your guests that the reception will be ending soon. Some weddings choose to also include late night food options for their guests at this time to keep the party going even later into the night! Dancing can continue for another hour or more at this point, it’s up to you how late you have contracted your vendors for and how late you would like to stay up partying and celebrating your marriage! As your wedding reception concludes you may opt to have a grand exit in your Indian Wedding Timeline. 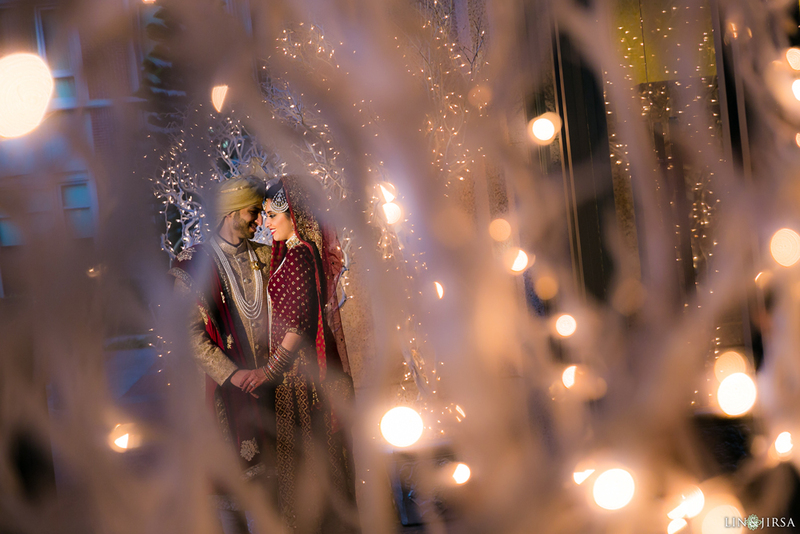 Read more about Indian Wedding Photography and Indian Wedding Videogaphy. Below you will find links to downloadable sample files to get started on your own Indian Wedding Timeline!